The​ ​Loyal​ ​is​ ​Chef​ ​John​ ​Fraser's​ ​look-back​ ​to​ ​summers​ ​spent​ ​cooking​ ​and​ ​bartending​ ​at​ ​established American​ ​Taverna​ ​in​ ​Montauk.​ ​The​ ​menu​ ​features​ ​dishes​ ​that​ ​are​ ​seasonal,​ ​shareable​ ​and​ ​highly flavorful.​ ​Innovative​ ​cocktails​ ​and​ ​an​ ​adventurous​ ​wine​ ​list​ ​complete​ ​the​ ​menu,​ ​all​ ​served​ ​in​ ​a​ ​lively​ ​West Village​ ​atmosphere. Join us for Mother's Day brunch! We will be celebrating with a brunch buffet and your choice of an a la carte brunch entree for $58 per person. Dinner service will start at 5:00pm and feature our full a la carte dinner menu. 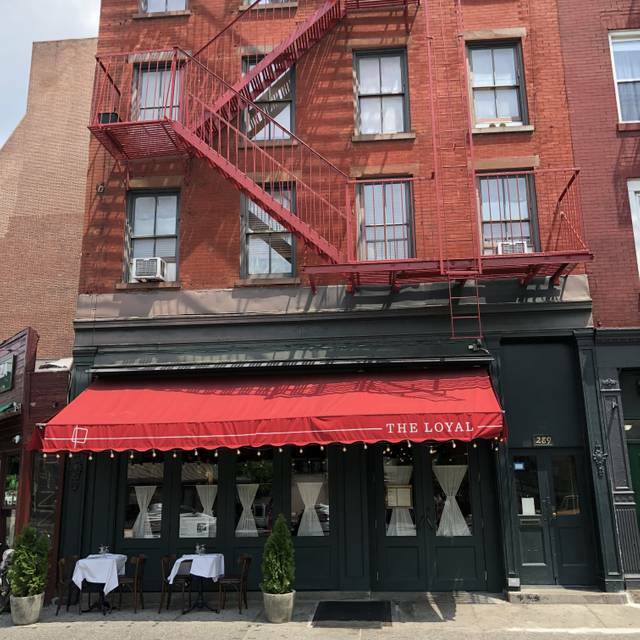 The Loyal is a slightly old-school American restaurant in the West Village from the chef behind Narcissa and Nix. It’s upscale, but not too uptight. it looked cute when you first walked in but then it got really loud when we were sitting and we had to scream. the food was just okay compared to the price and the portions were honestly tiny and the food took a lot of time. its so close to being what one is looking for.. maybe it was just the fact that it was a sat night. Service was good , nice setting . Food was just ok and overpriced. portion size on the small pastas are pretty small. the service was outstanding and the cocktails were perfect. The Burrata under the "Salad" section priced $18 or so, came with a plate smaller than a kid's plate, HALF filled with a few pieces of cheese, perhaps one piece of fig, and a few pieces of basel? The other half of the plate was empty. Is this a joke? Please take it off from your menu if this is what you serve people! Thankfully waiter was being very helpful and waived the charge. we had a lovely meal. the food was delicious and our server was very pleasant and helpful in recommending options on the menu. we would definitely return. Although my friend and I had a delicious meal with fabulous service, it was so loud in the restaurant that we could barely hear one another. As well, the tables were so squished together that we heard every word of the tables to our left and front. The food and the server were great, but the very rude host ruined the experience. One member of our party was running late from work, and the host came to our table and said in a very condescending tone that we had been sitting there for an hour and they had another reservation after us. This was not true. We had been there for half an hour, and were enjoying drinks and appetizers, and he indicated the next reservation wasn’t for an hour and a half yet so I’m really not sure why he was so concerned. I let him know we had been ready to order our entrees since our friend texted her order. He stormed away with no apology for his incorrect assertion or for rushing us through dinner. The server was surprised when she came over and said so sorry, didn’t realize you were ready to order; so clearly she didn’t share the host’s concern over turning the table in time. Our friend arrived right after, and we ate our entrees quickly since we didn’t feel welcome to enjoy more drinks at the table we had reserved. We left the restaurant by 8:15, so they had a full half hour to clear the table for the next party. Hope that the ample time was worth losing customers! I’ll be telling my friends to avoid coming here. Plenty of options in the area with superb & friendly service from all front of house staff. The Loyal is my new favorite restaurant. The space design is minimal but chic. I was greeted immediately by the hostess who took my straight to my companions, already seated. The brunch menu has something for everything, sweet, savory, meat and vegetarian options all covered. The Benjamin, poached eggs on potato latkes was a visual treat and absolutely delicious. The deconstructed Nicoise takes a few liberties with the traditional concept but who cares when it works the way this one does? The tequila Bloody Mary was a little spicy, just how I like it, and the lattes weren't only prettily decorated, they were yummy. Service is accommodating and attentive. Even the missing salt and pepper were delivered immediately upon request. It's a little too loud, but you can't blame people for having fun. And the mix of 70s-80s rock and roll classics in the background is always fine with me. I'll be back for dinner soon. We enjoyed a wonderful brunch. The food was delicious and the service was excellent. Looking forward to our next visit! Always fun and welcoming, add good food and you have a hit. We love coming here. The noise level was unbearably loud and detracted from the delicious food. The service was average and nothing special. We declined dessert despite the tempting choices because it was just too loud in the space! Terrible experience! The service was awful, we had no idea who our server was, nobody came over to refill water, take our dishes or bring the check when asked. Food was very average- don’t waste your time! Great spot date or a friends get together. Food and service were great. A bit dark but you get use to it. We got the hanger steak and the scallops. Get a side of the duck fat tots!! Loved them! I would definitely go back! They took the best item, mushroom carbonara, off the menu. Half pasta plates were hardly any food. Good drinks but $18 for a glass of wine is crazy. Makes sense for a fancy hotel in NYC, not the Loyal. Every course was great... Must try the duck fat tots and brunch spicy sangria. A new favorite in NYC. Server was so nice and gave me an extra drink during the wait! Amazing atmosphere! Candlelight. Relaxed. Met an old friend for dinner and drinks.... we spent over three hours at a bar table. No feeling of being rushed from the wonderful, friendly and very attentive staff. 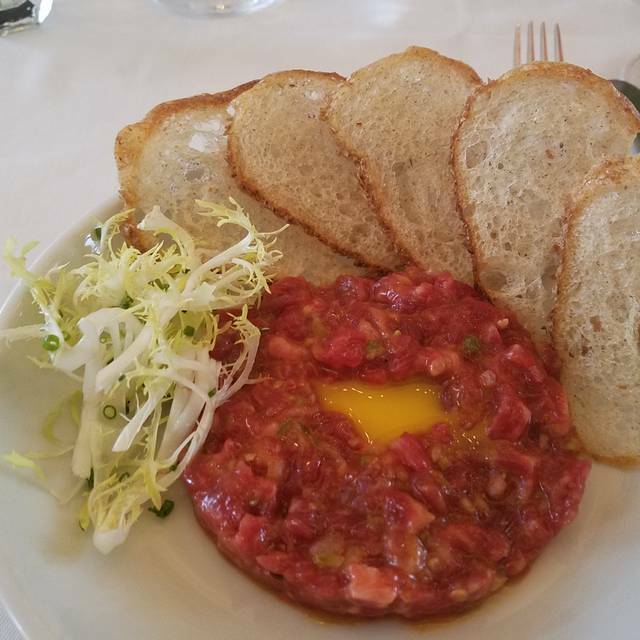 I had the pate that was to die for- one of the best I’ve ever had. Had a leisurely evening of catching up and fun! I will be back again and again. I would recommend as a go-to place for any event: Dates, celebrations, meet up with friends. Keep up the Good work! The food was not as described on the menu, nor were any of our dishes appetizing when they came out. The wait staff was accommodating and friendly, but I would not return based on the food. Not good! Alex was an unbelievable server, and, with the food, contributed to a memorable evening. Never had the perfect brunch, until now. Every. Ingredient. Impeccable. Can't wait to come back! There are serious portion sizing issues here. For $18, you get 1/4 of burrata. It’s also plated in a way that looks like something is missing that we had to ask the waitress. We were shocked. 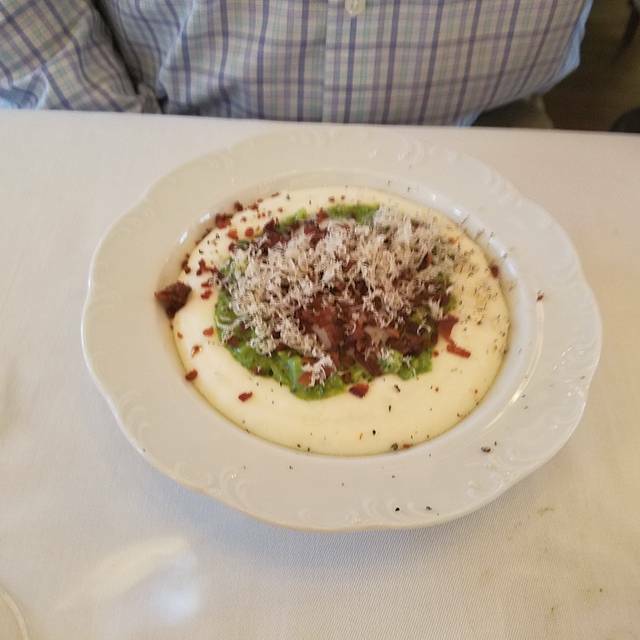 The burrata was also already cubed up which was really weird. We also ordered the mushroom tortellini half portion which was $17. We didn’t know this meant 4 tortellini!!!!! On the other end, I ordered the miso honey chicken for $30. It was a half chicken and could have been shared by two people! Peanut sauce was confusing as to why it was there. Waiter incredibly friendly and accommodating. Vibe is very fun and energetic. Food was ok and dishes a bit inconsistent. The Pâté, avocado smash and salmon really delicious. Some of the best we’ve had. But the chicken and tortellini were disappointing. Next time will try some other things! Charming place with great food and excellent service. A bit pricy and the music was a bit too loud, but definitely worth a visit. 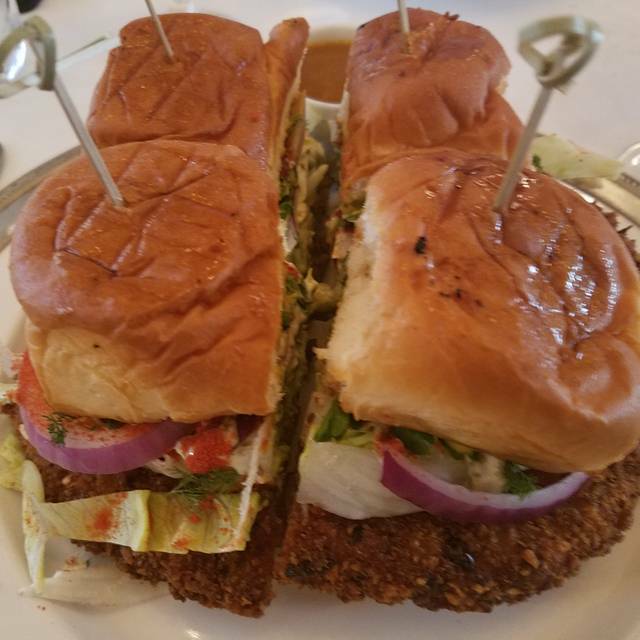 The chicken sandwich on the Brunch menu was beyond delicious. My friend ordered the French Toast and loved it. 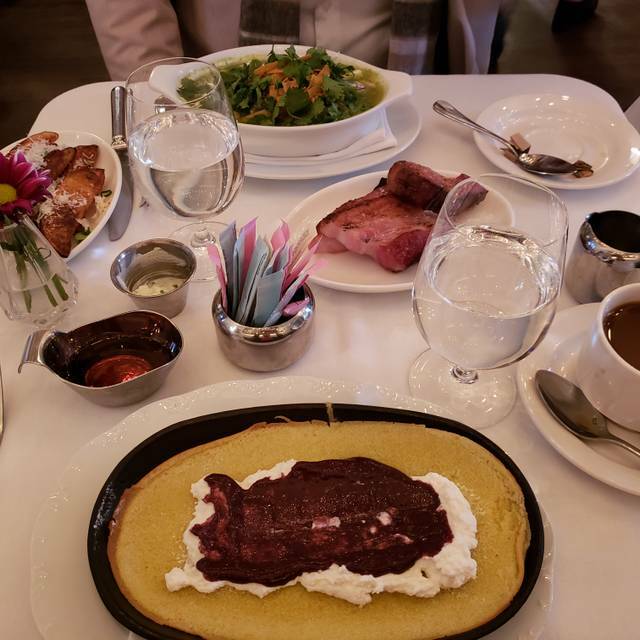 I ordered the olive oil pancake and that was outstanding. It’s a very welcoming environment. Our waiter was very attentive and polite. The food was absolutely amazing, so you definitely get what you pay for. Would recommend this restaurant to anyone! Great service - I ordered a meal that was not at all what I expected or good and they got me something new - no issues! Removed one star for food because the polenta was basically like eating cream - not like any other polenta I had (and not in a good way). And man was this place LOUD - like I struggled to hear my friends over the groups next to us plus the music. Plus we were seated on the back near the restrooms and it definitely smelled like chlorine. Beats the alternative but still not great. With all the good places in the West Village, I prob won’t head back anytime soon. The brunch was unimpressive. Was expecting more for the value. All was good, including the table service and food. Only negative was the hostess seated us at the very worst table, in the bar, next to the front door. We asked for a table in the dining room and got it. Many available tables. That did put a damper on the total experience. Why put anyone at that bad table if others are available. I am never disappointed with The Loyal! 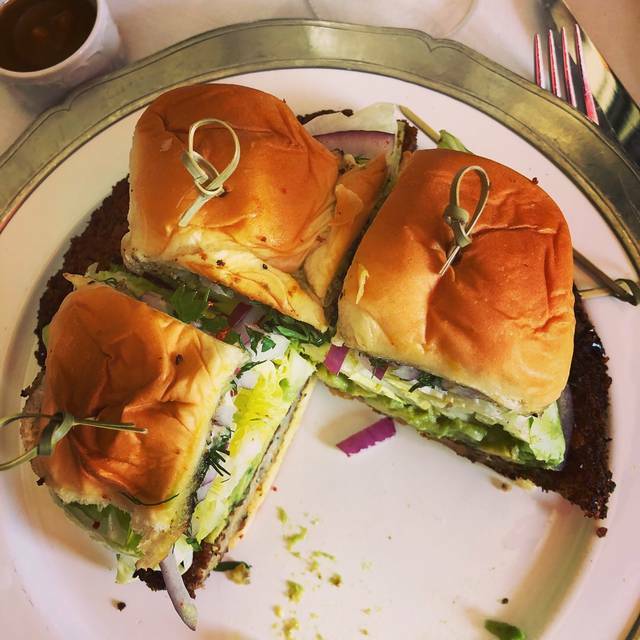 The pancake is delicious, the Monkey bread is divine, and the burger is juicy and tasty! Excellent! 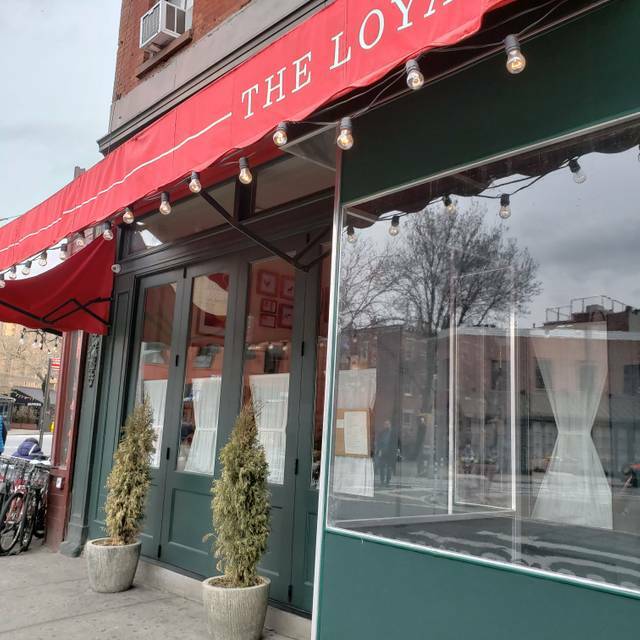 I have tried The Loyal for Dinner before and Loved it! 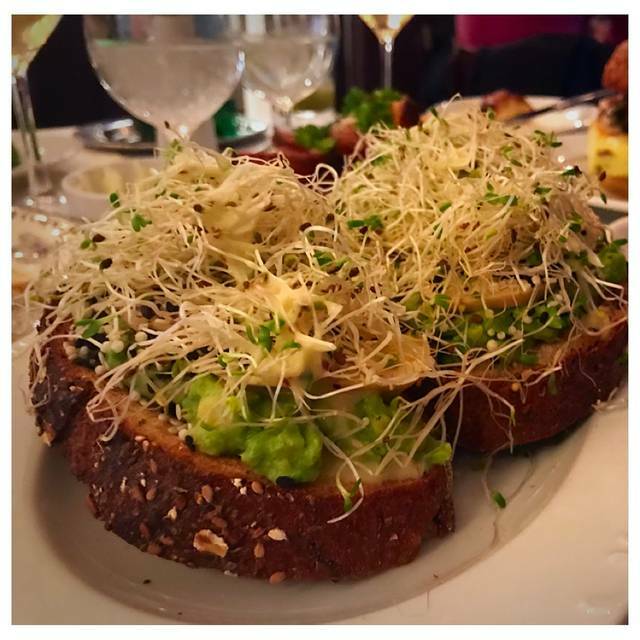 However, I was not in love with their brunch, believe the portions are more on the smaller size, and in my opinion is not a brunch that you could not find someplace else. Food was just ok. Simple as that. My favorite restaurant in the West Village. The ambiance is 100% perfect for a work dinner or intimate date. Desserts are show-stoppers and the entreés are incredibly good with "something for everyone" from light and healthy (like cauliflower as a main course) to heavy and comfort-food (duck-fat tater tots, and an incredible burger). Such a great experience from start to finish. Service was stellar, the food was amazing. Pretty solid food, small and intimate restaurant. Our table for 2 was kind of forced into a corner but it was comfortable. Didn’t love that they had a B health rating.